Discover Cuenca Ecuador and BEYOND! 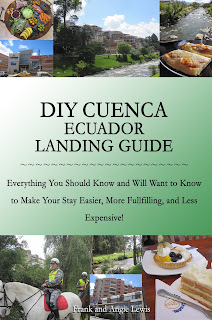 : DIY Cuenca Ecuador Landing Guide-UPDATED Eighth Edition! 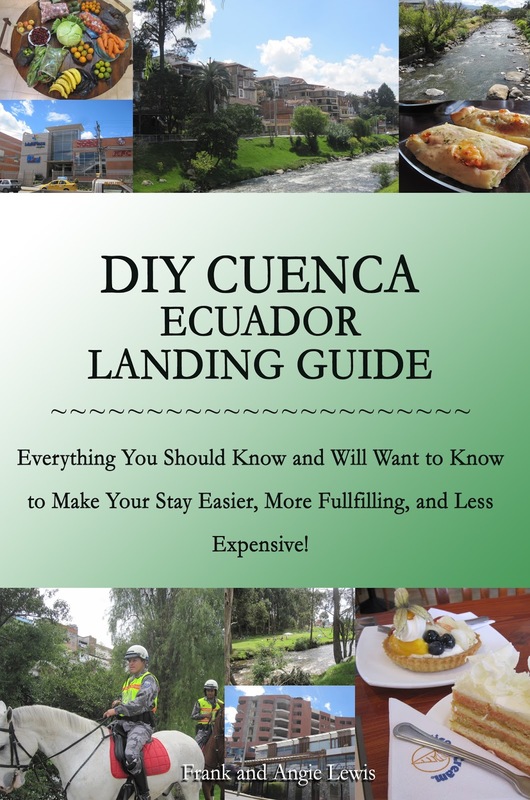 DIY Cuenca Ecuador Landing Guide-UPDATED Eighth Edition! We just want to remind our readers that we strive to keep our DIY Cuenca Ecuador Landing Guide UPDATED with relevant, current information. We just published our eighth edition of the guide with some new current information and a few changes that have happened in the last 6 months, since the last update. We offer both the PDF eBook and the print version of the guide from Lulu.com. Right now Lulu is offering a coupon for 15% off on all PRINT books through January 3, 2016! I just bought this ebook last month. Has it changed much? Hi Steve, The overall content of book is the same. We add new informative aspects about moving to Cuenca, such as we added three new places where gringos can go volunteer for children, etc, etc...And if addresses have changed we update with the new address, but the bulk of the book always stays the same. Thanks for your support! Lulu doesn't give the discount for eBooks. 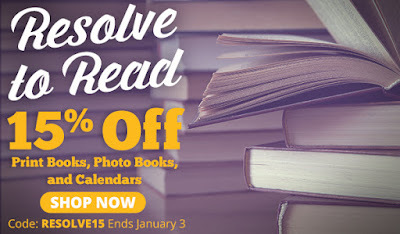 Hi Charline, that's right, the discount only applies to the print book.